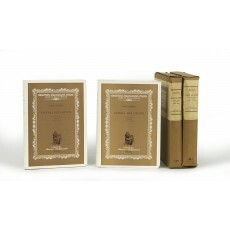 Two volumes (24 cm), I: 444 (2) pp., illustrations. II: 573 (1) pp., illustrations. Publisher’s printed wrappers, original card slipcases. - 1447 editions (1060 cinquecentine) are described. 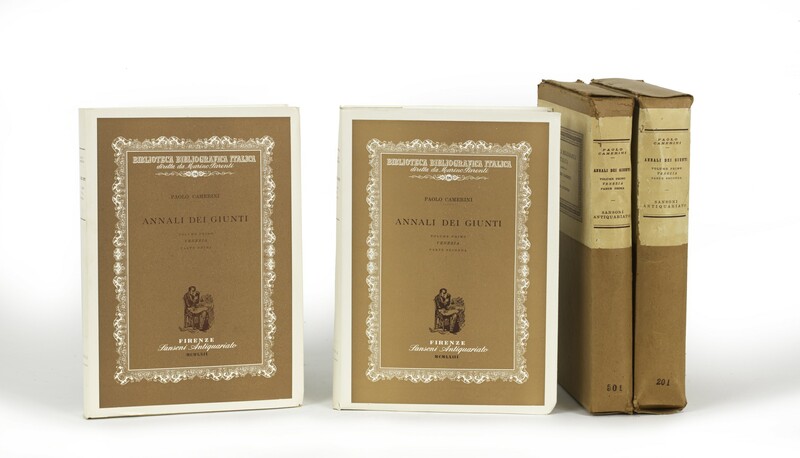 ¶ Copies 501 (volume Primo, Parte prima) and 201 (volume Primo, Parte seconda), each of 666 numbered copies. Small defects to the publisher’s slipcases; otherwise immaculate, unopened copies.